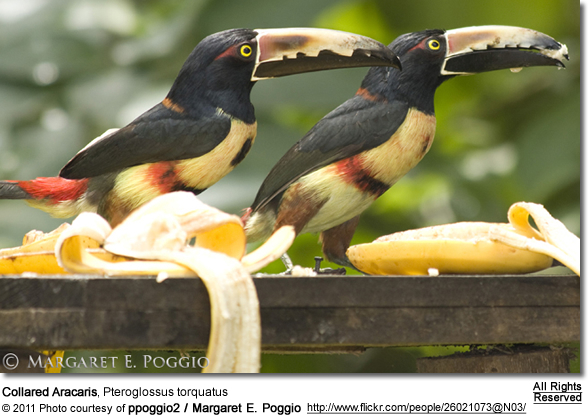 The aracaris (or araçaris - genus Pteroglossus) are medium-sized Toucans that are brightly plumaged and sport large colorful beaks. 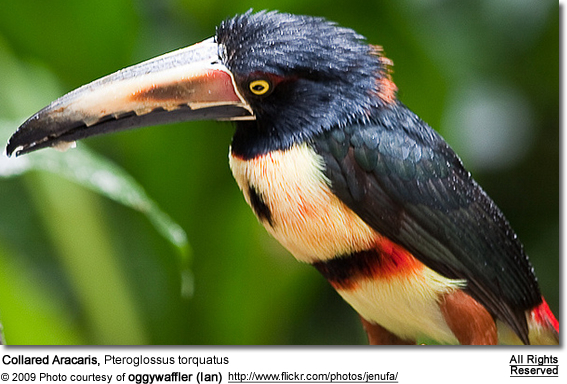 The aracaris inhabit the warm rainforests of Central or South America - where are typically found high up in the forest canopy. 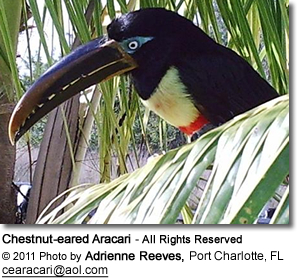 They are resident breeders and do not migrate - although some species may move seasonally within their range. 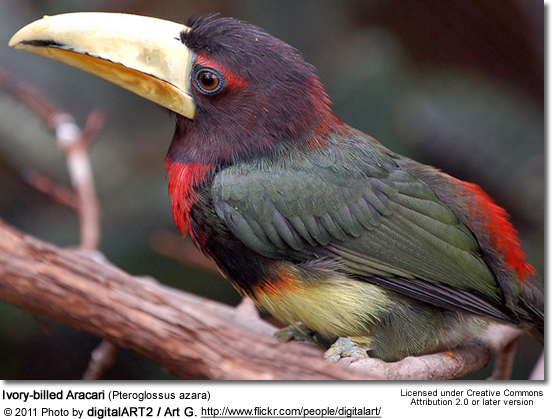 They nest in trees with appropriate hollows, most of which are previously made by woodpeckers. Other hollows are the result of a branch break and ensuing rotting of the heart wood from rain over a period of time. The average clutch size consists of 2–4 white eggs.The eggs are incubated for about 16 days. The newly hatched chicks are blind and naked with short bills and thick pads on their heels to protect them from the rough floor of the nest. Both parents, as well as their previous offspring and/or possibly other adults, feed the chicks. The young fledge after about 6 weeks. 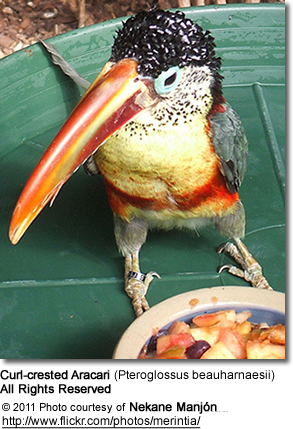 The adults continue to feed them for several weeks after fledging.